We returned today to Woof! 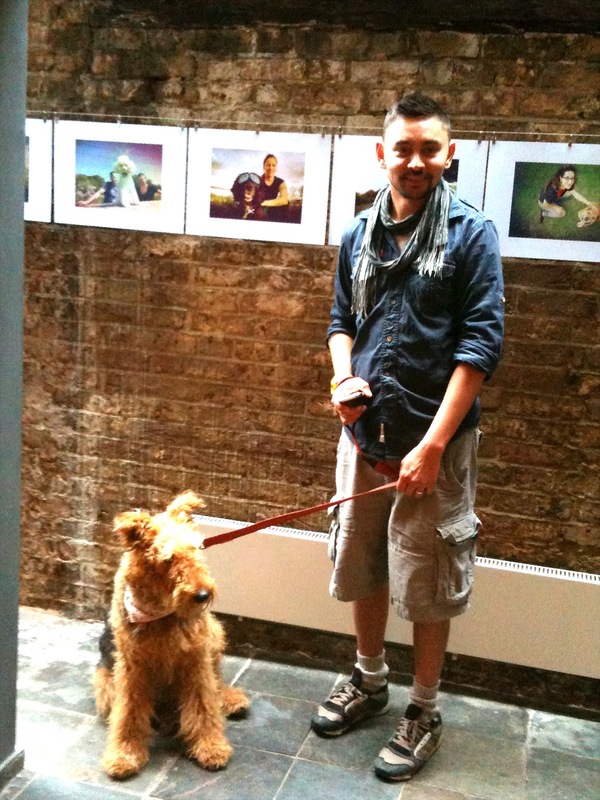 Fabien’s fabulous show to drop off some more greyhound keyrings, and managed to snap the talented Fabien himself and the adorable Toastie. 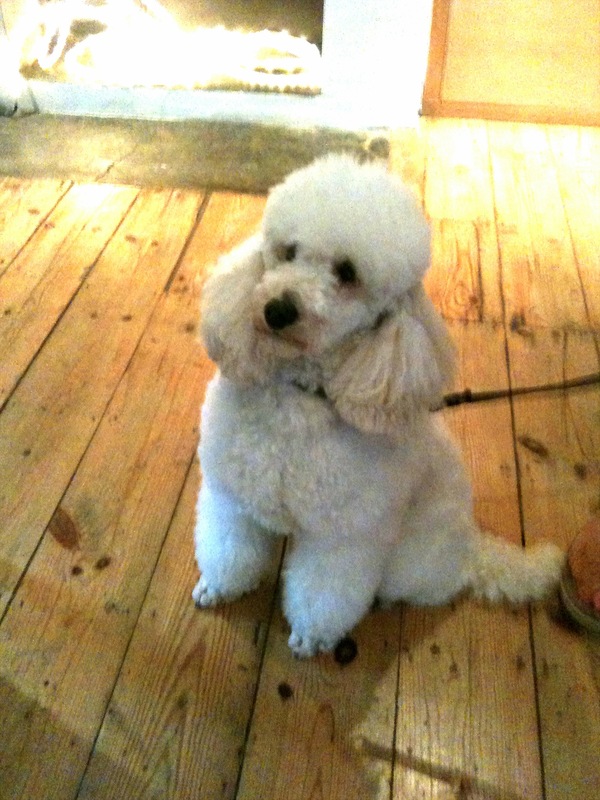 Also visiting were Jerry the handsome miniature poodle, such a sweet boy! 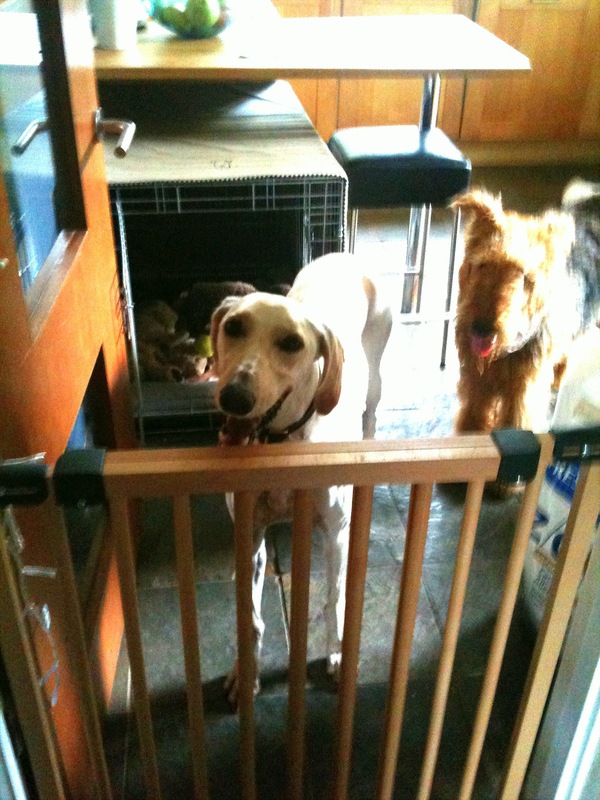 And keeping Toastie company in the kitchen was the gorgeous greyhound Nelson, another beautiful boy. It was only midday and there were a constant stream of visitors, it’s obviously a very popular part of the E17 Art Trail. It’s on until the 11th September, so plenty of time to catch it!